I have not personally had a cancer experience, but I’ve seen family members suffer from this disease. 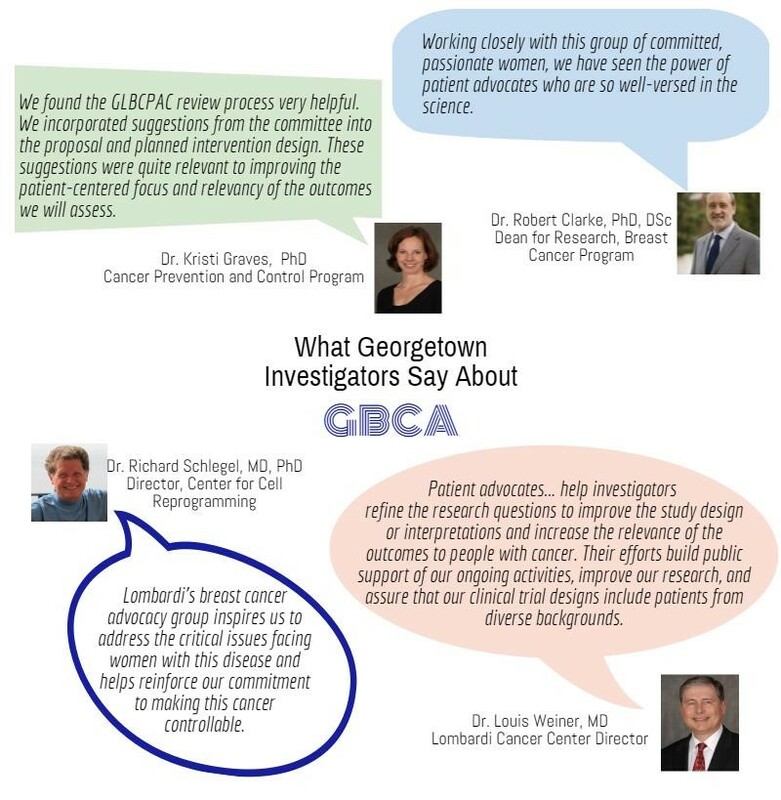 I’ve worked at Georgetown Lombardi Comprehensive Cancer Center, raising philanthropic donations in support of cancer research, education and care, for the last seven years. I earned my Bachelor of Science in Food, Nutrition and Dietetics from Mississippi State University, and raised money for political campaigns prior to coming to work at the cancer center. Within my job I often encounter scientists and physicians who devote their professional lives to improving cancer care and outcomes. 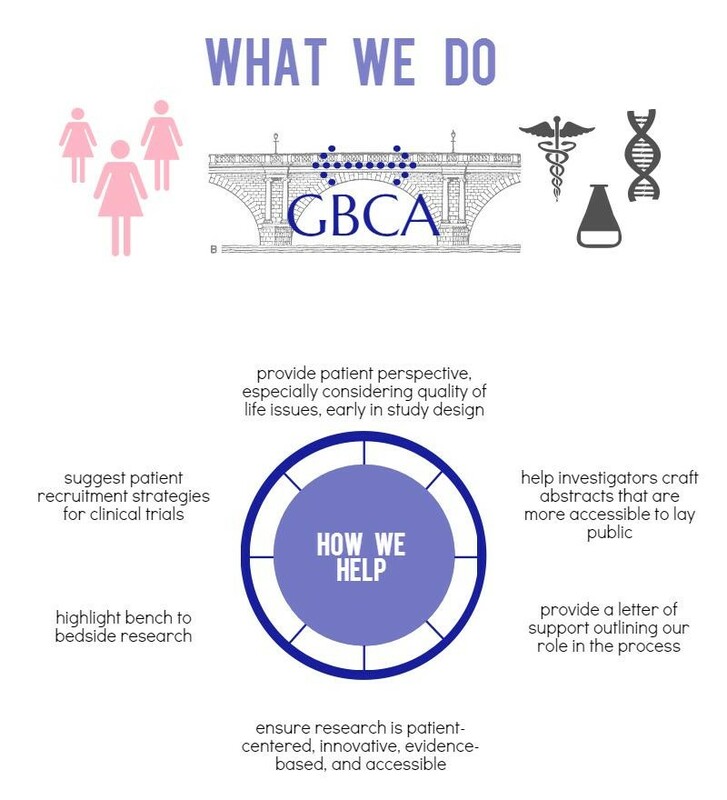 Five years ago when this group was founded it was a result of those scientists and physicians at Lombardi realizing the great need to invite patients in to their research process, to produce studies that more directly address patients’ needs and reflect their voices. I was able to assist in the founding of this advocate group and have watched it grow into a phenomenal group of women committed to helping future breast cancer patients, and I am happy to be associated with them.